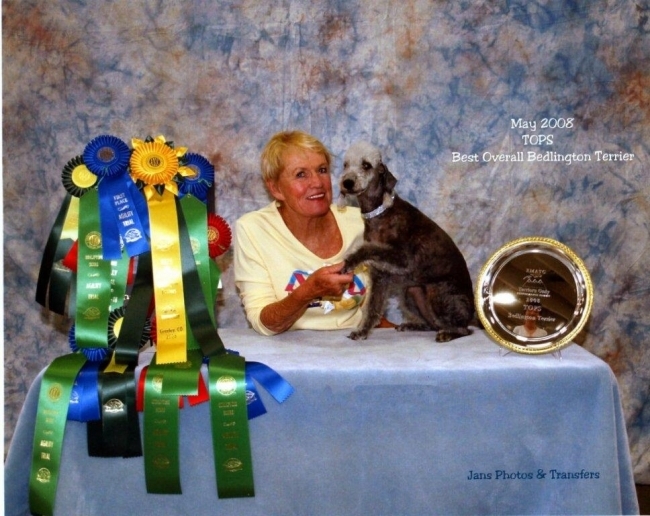 After a week long competition at the Terrier Agility Trials Greeley Colorado Burmingtom Maid From Magic (Diamond) came out a winner and took the Top Bedlington Award. by Jon and Lesley Caines. Congratulations to all concerned.